Josh Rouse kicked off his current tour last night in Denver in support of his excellent new album Country Mouse, City House. I've been trying to catch Rouse live for over two years, but this was my first success - I very thoroughly enjoyed his unique fusion of soulful songwriter rock with elements of jazz, blues and funk, along with his velvety smooth voice. It was excellent and I highly recommend catching him when you can. Support was provided by the wonderful Jason Collett from Broken Social Scene, whose lyrical imagery is amazing, and has a lovely voice with an unexpectedly sharp, raw crackle to it that pierces me. 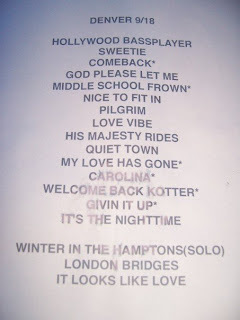 Here's a short clip of him performing Hangover Days last night, which he's also duetted with Feist on. He has a new album due in January on Arts & Crafts, and he told us the title last night for the first time and I am a failure to you all and I forgot it. Thanks for blogging about Josh Rouse. I've been a fan for so long, and it's interesting how his later stuff has caught on so well in the blogosphere. While it's interesting to think about how he has progressed, it's such a shame that his music isn't out there because of where he may or may not have been categorized in the past. I'm glad he's always done his own thing, though. Catching him when he comes to New York in about a month or so - can't wait. Great post! At first I thought you were saying that "I am a failure to you all and I forgot it" was the title of Collett's new album. I actually think that would be a great title. 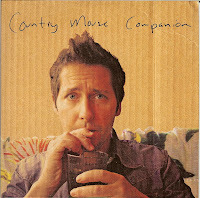 "Country Mouse" is growing on me, but I still think it's Rouse's weakest album since "Home." thank you. thank you. i'm so glad i found your site. seeing Josh Rouse on Oct 27th in Mpls, and this report made me even more excited.